While Google's support page says the feature is limited to Google Homes in United States, there are reports of it working outside 'Murica as well. Feeling like you want to relax after you've finished that meal you prepared with Google Home's help? Overwhelmed by your Home's answer to what's on your schedule tomorrow? Just ask it to help you relax with some soothing ambient sounds. Currently offering a catalog of 15 different ambient sound themes, Google Home can now replace your sound machine. The ambient sound themes include nature sounds, water sounds, fireplace sounds, and country sounds. The latter of those is crickets, lots of crickets. The ocean sounds theme must be based on heavy seas because I found that one a little too stimulating. If you're feeling lucky (that's Google Play Music lingo), you can just say, "Help me relax," and your Google Home will select a theme for you. Do you want to fall asleep to relaxing sounds? No problem. You can tell your Google Home to play one of these relaxing themes for a specified amount of time. For example, you can say, "Hey Google, play forest sounds for two hours." You'll hear the sounds of the forest for two hours, and then your Home will slowly fade out the audio. If you don't specify a time limit, it will default to one hour. Google has even included this helpful video on their support page. Let Tech With Brett take it away. 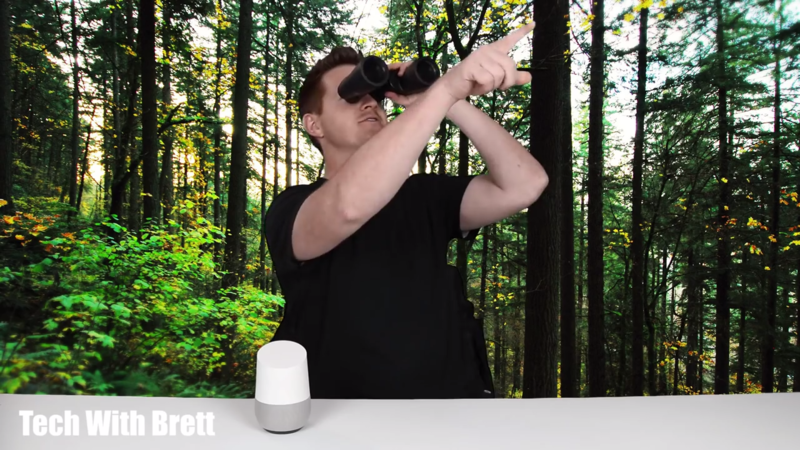 Google notes that you can press and hold your finger on the top of the device to activate your Google Home instead of speaking the wake word. I'm not sure what the advantage of this is because you still need to speak your request to play an ambient sound theme. If you are going to talk to your Home anyway, you might as well wake it with your voice too. I can already imagine combining these sounds with Hue lighting scenes to create my own voice activated relaxation chamber.